We need your help! The Archives and Rare Books Library is expanding its Shakespeare holdings as part of the 2016 quadricentennial . 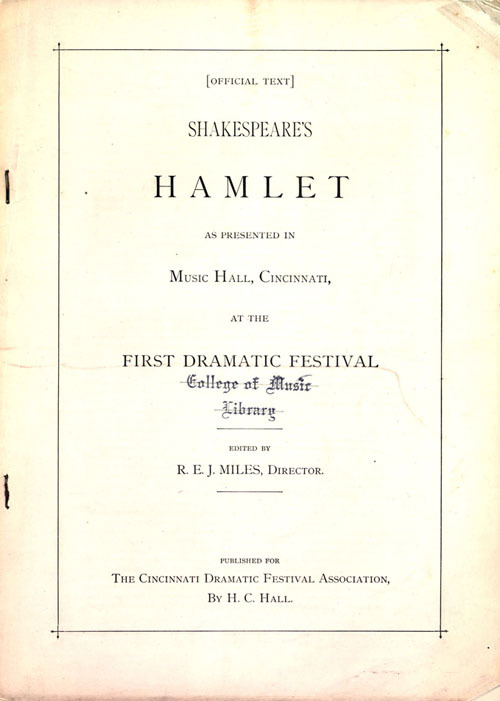 In our effort to document and preserve the heritage of Shakespeare productions in the greater Cincinnati area over the past two centuries, we’re building an archival collection of local Shakespeare play programs. It doesn’t matter if they are from 1902 or two days ago. They can be programs from performances by CCM, high schools, professional theater groups, or the couple next door who are forever emoting on Romeo and Juliet. It doesn’t matter! The only requirement we have is that the performance took place somewhere in the tri-state. Please mail your submissions to the Archives and Rare Books Library, P.O. Box 210113, Cincinnati, OH 45211-0113 or drop them by our library on the 8th floor of Blegen Library. If you have any questions, just contact us via email (archives@mail.uc.edu) or give us a call Monday through Friday, 8-5, at (513) 556-1959. Thank you all so much for following our celebration, and a special thanks to anyone who can contribute. We can’t wait to see the wonderful programs you have in store for us! 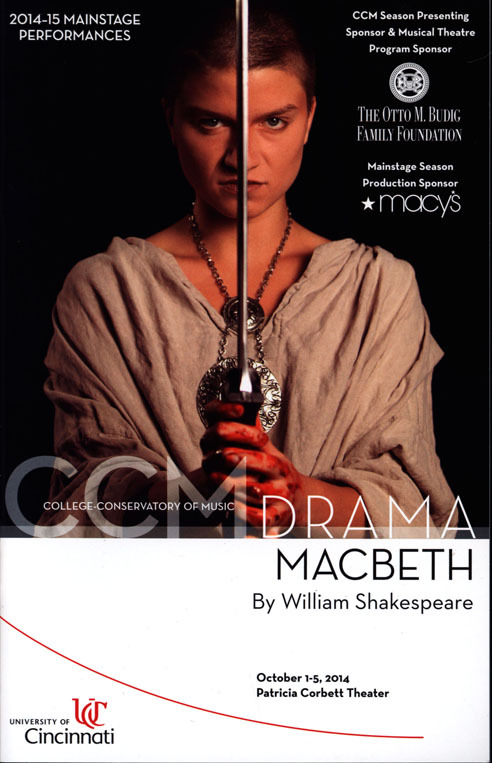 To learn more about our Shakespeare commemoration, have a look at our web page, http://libapps.libraries.uc.edu/exhibits/shakespeare400/.